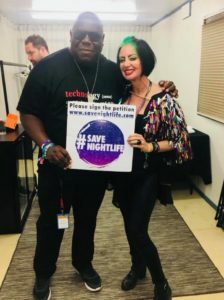 Back in August – world famous DJ Lisa Lashes launched the Lisa Lashes School Of Music with business partner Deborah Hewitt, which has become the talk of the music industry and in such a short space of time has grown rapidly. 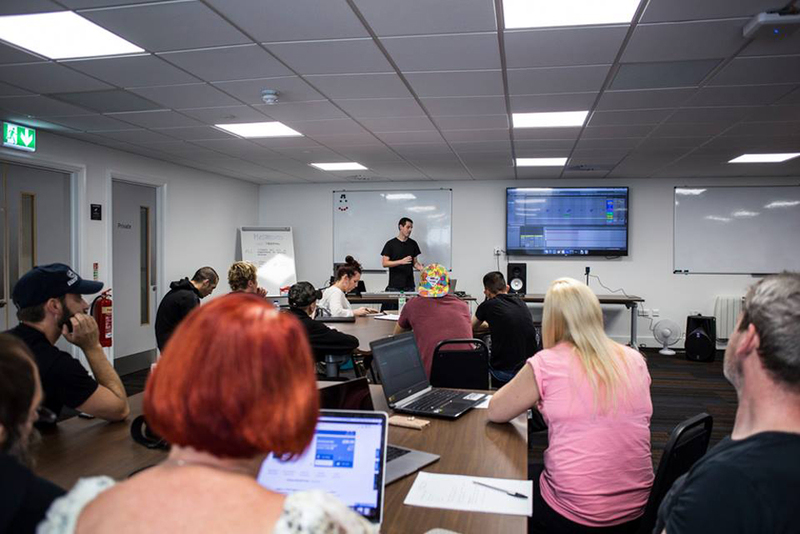 In association with PTS Training Academy, it is a first-of-its kind 12 week course covering everything you need to start out in the music production industry. 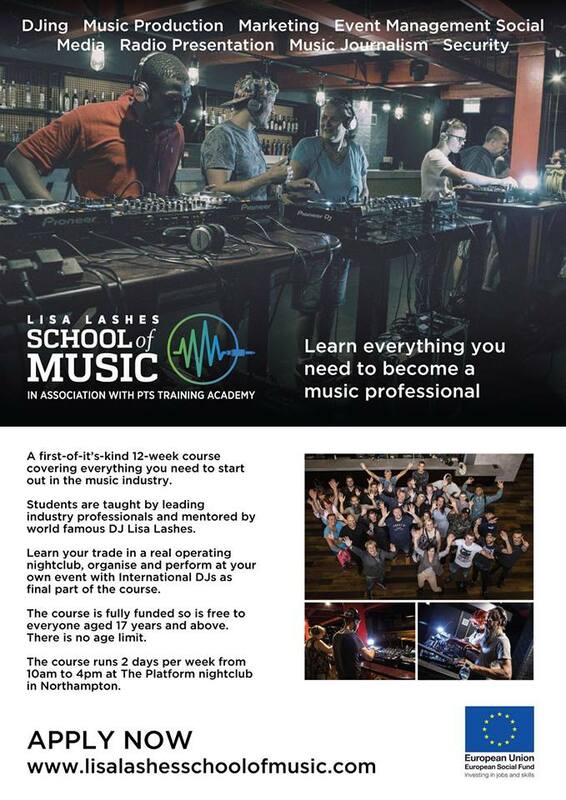 Whether you want to be the next super star DJ like Carl Cox or Hannah Wants, or a successful music producer like Calvin Harris – host festivals and events like Warehouse Project’s Sasha Lord or become the next Radio One presenter alongside Danny Howard and Annie Mac; this course covers all areas of the music industry including security, health & safety, marketing and social media. 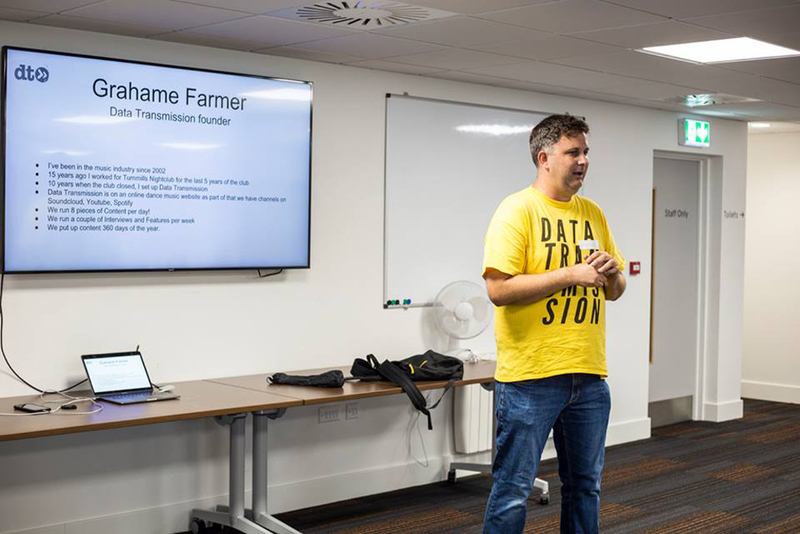 The course is currently based in Northampton, but there are plans to branch out to five more major cities in 2019 which will include Manchester. 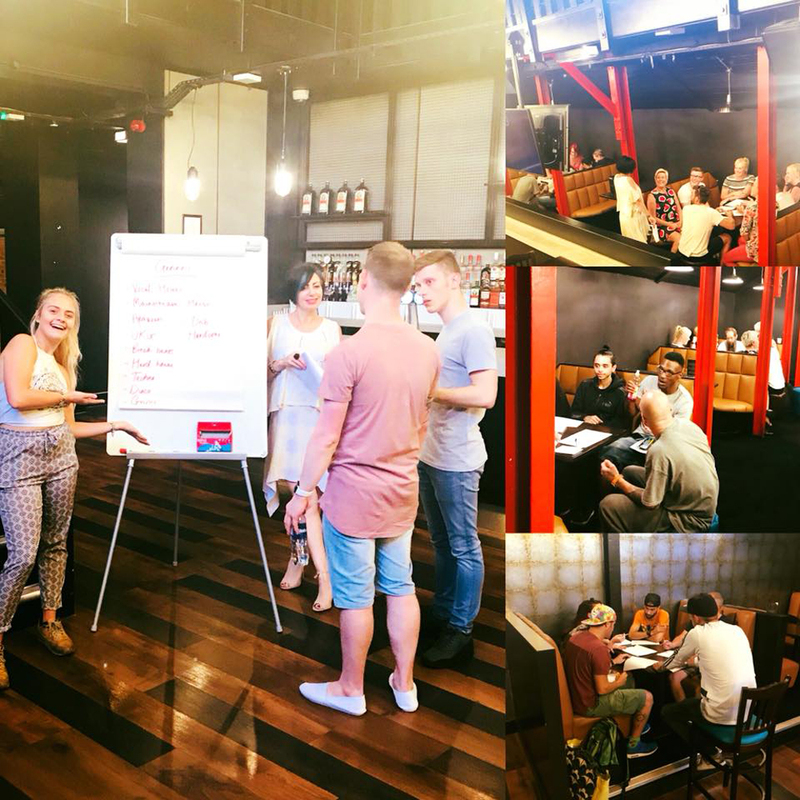 It runs every Monday and Tuesday, 10am to 4pm at the new state of the art learning facilities at the Platform nightclub. The venue is a real operating nightclub in the heart of Northampton which provides the best possible environment for students by mixing hands-on experience in the club. And the great news? the course is completely FREE as it’s fully government funded! Lashes is the only female music artist to ever break into the top 10 of DJ magazine top 100 DJs, her prolific career in dance music spans 18 years of entertaining clubbers and festival goers across the globe and has built up a huge network of contacts within the industry who have been getting involved and supporting Lisa with her new music school venture. 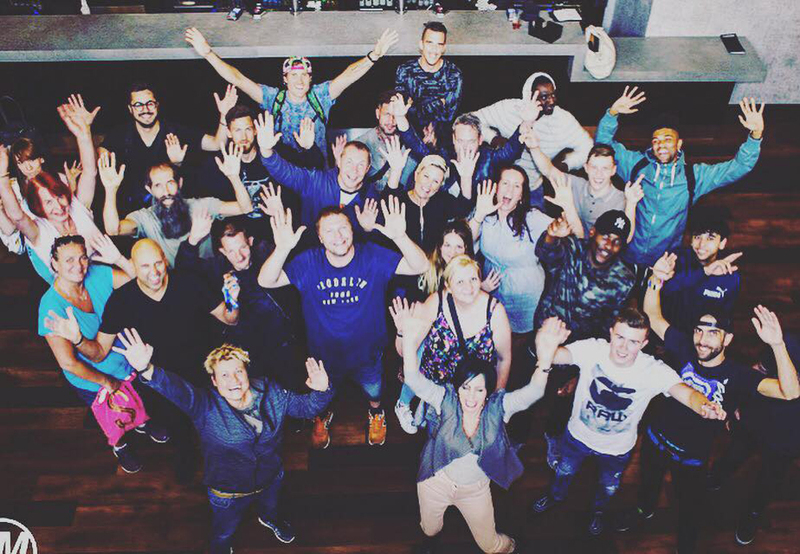 The DJ legend has assembled a huge team of industry professionals to guide the students through the course, with the likes of music producer Frank Farrell, data transmission founder Grahame Farmer, Lisa’s fellow Tidy Girl Anne Savage and DJ’s Richie Atkins and Rob Tissera – to name but a few. 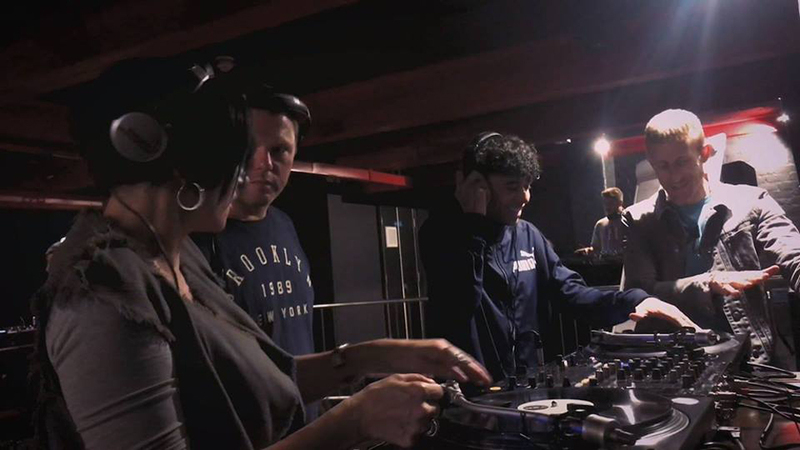 Students are learning these skills using state of the art industry standard equipment, including Pioneer decks and mixers in the DJ basement to Ableton and Logic and Roland software in the production suite. Plus, at the end of the 12 week course all the students get to orchestrate their first event and have the chance to DJ alongside Lashes. 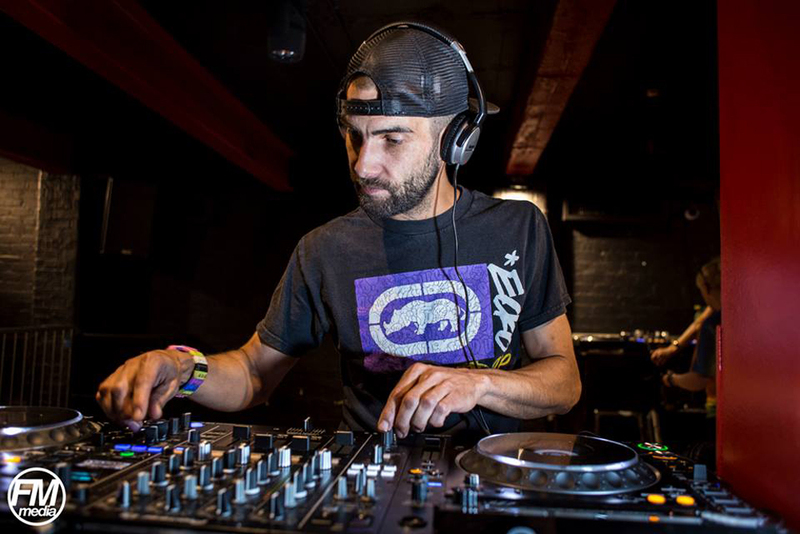 As part of the course, students will also have the chance to play at some of the UK’s biggest music events, including: We Are FSTVL, Ministry Of Sound and Manchester festival Parklife. 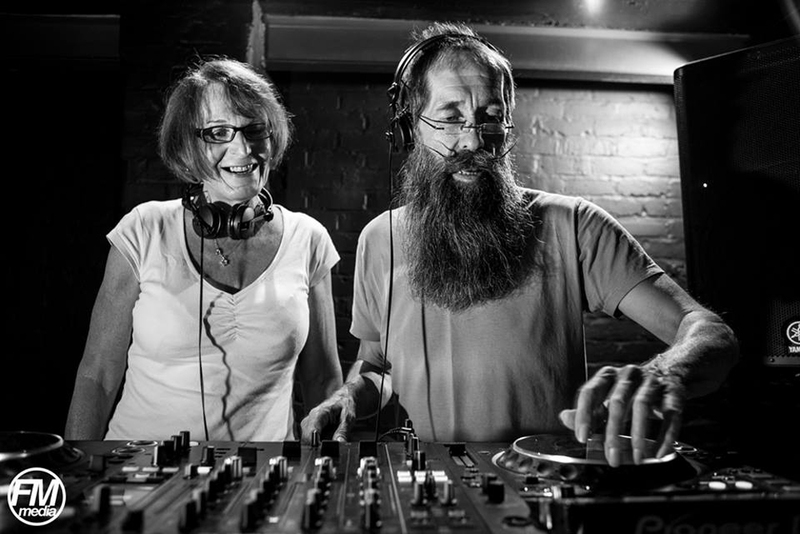 Lisa said: “We’ll be turning our classroom into the party place – The Platform Club Northampton – so we hope you can join us and spread the love for this new DJ academy concept which we’ll be taking to lots of new cities very, very soon”. 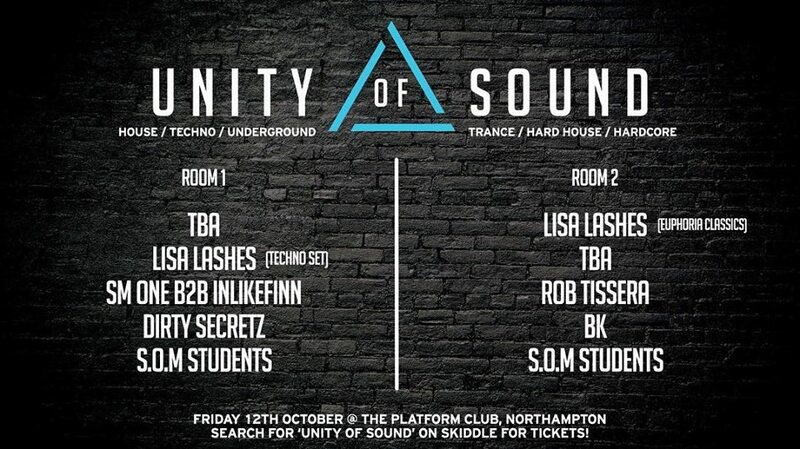 Early bird tickets for the students Unity of Sound night have now sold out, but if you want to find out what the budding DJ’s have been up to for the past 12 weeks and see some exclusive DJ sets from Lisa Lashes, Rob Tisseran, SM One, Inlikefinn and Dirty Secretz then you can purchase general first release tickets via Skiddle.